This will be a brief entry as I just finished breakfast and am getting ready to leave for the Y. I did want to mention a couple of things. We spent more time together last week and were more active rather than just being at home together. We have had lunch together most days since 1/21. We intend to keep that up as our schedules allow. We also went to two theater productions, one of which was Harvey that was a good lighthearted evening. Last night we had an emotional conversation in which we shared with each other the feelings we have had since the diagnosis on 1/21. We both had suspected this for quite some time. We had been seeing signs for at least 2 years. Kate, like my mother, has expressed frustration over not remembering things. At first, I denied the possibility saying we all forget things and that I felt her memory issues were probably related to her depression. 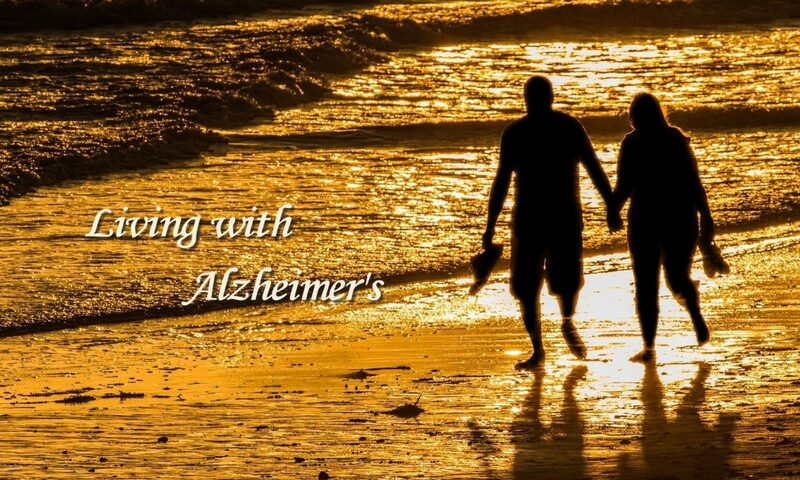 For the past 6-12 months, however, I had become increasingly concerned that it may be Alzheimer’s. Despite my suspicions, I found myself getting irritated when she would forget things. I kept saying to myself that she can’t help it, but I would still be irritated. Since the diagnosis, I have not had the first sign of irritation. The official news has affected Kate as well. She opened last night’s conversation when we sat down in the family room to watch a movie on Netflix. As we sat down, she said, “I am so scared.” That began an extended conversation that was good for both of us. (We never got to the movie.) She is not only scared. Beyond that she is angry that this is happening to her now. She feels this would have been easier to accept if she were 80 and not 70. She is beginning to feel she is already being treated as a non-person in social interactions and that this will just be exacerbated as she declines. I am now at the office and want to quickly finish my notes on last night. We talked about a wide range of things and how much our thinking about the future is different now. 1. Keeping things constant rather than making significant changes in the house that we might have done before. Neither of us feels major changes are in the offing since we might not remain in the house as long as we had expected. 2. Planning for a move to a continuing care community. We both agree we want to stay at home as long as we are able. I also told her that I would not remain in the home without her. It is a wonderful place to share with her, and it is filled with many great memories. Without her I would rather be in a place like one with continuing care. I would not buy another house. 3. Thinking about time with grandchildren and trying to make the most of the time. 4. Kate is wondering how far into the disease she is now and plans to ask Dr. Reasoner to give some indication based on the PET scan results. 5. We talked about how not being able to tell anyone about this drives us even closer together than we have been before. We both recognize just how interdependent we are. 6. We spoke about a balance of practicalities (planning things like finances, arrangements for help, etc.) and emotional support that I can provide. 7. She is going to check with one of the social workers at primary care practice about support groups when she is ready to be more public. She really wants to talk with other people in the same situation as she. I noted that I had checked on line but not found just the right thing yet. 8. We reminisced about the places we had enjoyed together and even specific moments that were special (e.g., the native dancing at the Christmas market in Bratislava). 9. We talked about places she might like to visit. Santa Fe is definitely on the list. We had previously said we would look at Australia and New Zealand in 2012. 10. I also told her I avoided saying much about things because I didn’t want to aggravate the situation. She said she wanted me to be as free to say things as she is. 11. She asked me if I had thought about her cousin’s husband since getting her diagnosis. He is in the latter stages of Alzheimer’s. I said that I had. One of the things she doesn’t want but knows will happen is that people will pity both of us. This is not a problem for me at all, but is for her. I woke up early this morning (around 4:00 am) . I don’t know that this relates to Kate’s diagnosis, but it is consistent with problem sleeping the week before her appointment with Dr. Reasoner. We both got through the day all right. I was busy with things at the office although I did find my mind wandering back to Kate. I checked online to locate support groups for her. I found a number, but did not identify just the right one. I also looked up life expectancy for someone diagnosed with Alzheimer’s. I didn’t like the results. Results showed somewhere between 4.5 and 8.5 years. That is a contrast with the figure of 12 years that we got from Dr. Reasoner. Kate specifically told me she got a long all right yesterday. She took a positive step to investigate a yoga class that she has been considering. She is also going with me to the Y breakfast this morning. I have found myself with a strong feeling that I need to be with Kate more. I have been thinking of the possibility of limited time to enjoy ourselves “the way they are” rather than “the way they will be” in the future. She went to the Y breakfast this morning, but I have tried to reach her about having lunch together. She hasn’t been at home and hasn’t answered her phone or text messages. She could possibly be at church where the connection is not so good although I thought she was almost fully disconnected from her responsibilities there. I also keep thinking of things that she would like to do while she is able to fully appreciate them: seeing the grandchildren, traveling, visiting with friends, etc. I am also thinking about developing a To Do list of things we need to do: putting both our names on all bank accounts, checking our wills to see that they are in order, getting rid of lots of things in the house that we don’t need and that Kate has expressed an interest in doing but I haven’t, deciding whether Kate would be better off staying in the house as long as absolutely possible or moving to a continuing care community that could handle our changing needs. It’s been a good day. That doesn’t mean either of us hasn’t dwelt on the news we received from Dr. Reasoner. One of the differences I notice is that we are more open with each other about the news. Prior to knowing, neither of us spoke about it except in moments when some instance of Kate’s loss of memory bothered her or me or both of us. It is as though instantly I am attributing all of her issues to the diagnosis. She has brought up the fact that she is feeling all right, but also expressing that she is feeling a range of emotions starting with anger, sadness, etc. She did not go to church this morning, something that is not unusual since she retired from the church library in May. When I go home, we went to Casa Bonita for lunch. While there, she mentioned that she might want to check out support groups for Alzheimer’s patients. I suggested she look online and that that would offer her more anonymity. After we got home I got online to look for options and found several. I did not identify one in particular that would be appropriate for her. I did, however, get a different slant on her condition. I believe, and I know she does as well, that Dr. Reasoner said something about “early onset Alzheimer’s.” From what I read today she must have meant early stage Alzheimer’s. Early onset is for people who are under 65. I believe this is not early onset and am now concerned that this may mean there is a shorter period of time before we face significant changes that will affect us. Up until getting this information, we have both been thinking that we will have quite a few good years ahead. Now I am wondering if we might not notice changes that affect us within the next 5 years. We both have talked about the importance of her being active including participating in exercise. I am going to check on yoga classes near the house where she has had some interest. I am also thinking that we might start eating lunch together more frequently than in the past. We also talked today about her avoiding situations that are especially frustrating. That would involve preparing meals for company. She recalls being especially frustrated last summer when one of my friends was in town to see Dad. I don’t intend to write something every day, but I did want to add a couple of things from yesterday and today. First, I didn’t indicate yesterday that I had planned to take the full day off as soon as I knew Kate had the appointment with Dr. Reasoner. That worked out well. After our lunch at Casa Bella, we came home. We had picked up Kate’s laptop from the shop; so she wanted to catch up on email, etc., having been without the computer for the past few days. I took a little time to work on my Sunday school lesson and to start this particular document.